When rating your website’s conversion rate, you should not be merely considering the figures. For someone who is honest, it is essential to consider if the optimization rates are stable and are you making zero mistakes while optimizing the website to acquire highest possible conversions. 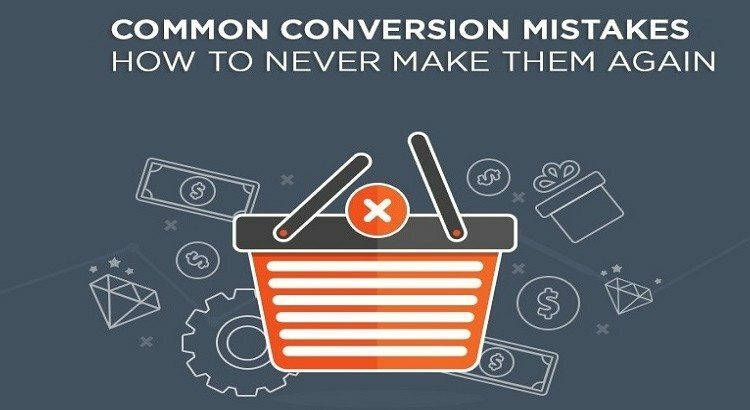 To help you figure out what all conversion mistakes you are making while optimizing the website for it, we have sidelined some mistakes along with preferred solutions. So, basically you have invested days in finding a killer headline, conducted endless sessions of split testing and tested the website navigation for weeks before settling for the final design. After all this, your landing page must be surely looking a pro, which is why you must be expecting to engage prospective clients. But wait, despite all this your website is not converting. This might be because you are overlooking one of the most crucial element i.e. your CTA (Call To Action). No matter how much time and efforts have you invested in creating the website, it is all going to nullify when you choose mundane CTAs. The most mundane elements include submit, click and order. Choosing an impressive CTA helps in drawing a thin line between making a purchase and simple walking away. The task here is to come up with a CTA that manages to deliver an incredibly profound effect. Relying upon the popular CTAs alone, can force potential customers to navigate. Fixing Your CTAs: The reason why most of the marketers fail to do justice with CTA is that they take Call to Action too literally. The aim is to create something that does not focus upon action alone but focuses upon creating value. For instance, when you are posting something for a fitness website, your purpose should be focusing upon how to create a fantastic beach body rather than how to reach the gym. You should be always be focusing upon the main attributes that the customers are looking for. When you are involved in designing a conversion oriented website, you should not limit the strategy till creating a good looking website. Sometimes, it is your design’s creativity that makes your conversion rate suffer. For instance, sometimes you use a smaller font just because it lets you fit everything perfectly over the webpage. However, in actual it makes it difficult for the interested person to identify the key parameters. Also, there are stances when use of complimentary color scheme gives a sense of consistency but they take away all the attention from the primary CTAs. Fixing Design for Higher Conversions: We would not say that a good looking website does any harm but it is actually certain design elements that you should focus upon for higher conversions. Well, out of all the elements that you need to work upon, the most effective one is the contrast level. To make sure that the prospective clients are able to locate the key benefits easily, you will have to maintain the right contrast between different elements. Make use of complimentary colors that look nice and also highlight the key benefits. To make the key elements stand out, you can utilize the white space and a readable yet sharp typography. You would not believe but there are still some websites that miss mentioning social proofs. Considering that we live in an era where social presence means a lot, you have to ensure that the visitors get to see the proof of your existence socially. Including social proofs over the website is an essential thing. No matter how good your products are, no one would pay attention until they are sure your existence over social media accounts. Visitors consider social presence as a proof for authentic and reliable services and products. Implementing the social proof: There are various ways in which you could implement social proofs. 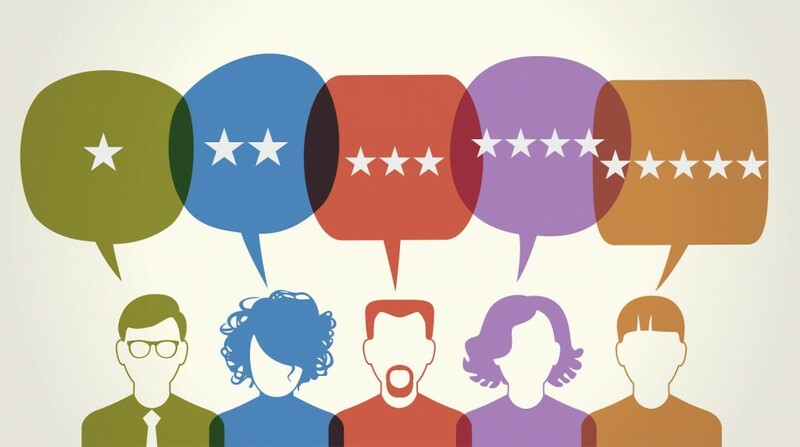 One way of doing this is by making use of client testimonials, trust seals from reliable sources, displaying recognized logos, leaving video testimonials and genuine product reviews. The type of social proof that you could settle for, would depend solely upon the type of service or product you are selling. For instance, if you are selling goods, you can make use of product reviews. Similarly, if you are offering consultation services, you can make use of case studies. For someone visiting your website for the first time, the most important thing would be analyzing how easy is it for the visitor to understand your brand’s USP. Your brand’s USP is one of the initial parameters that the visitor would analyze before navigating the website ahead. If you are one of those, who try to offer a brief overview of the services so as to draw the visitor’s attention then you must rethink your strategy. Offering a general overview of services would be generic and would fail to highlight the USP. To hook the prospects, you will have to be specific while highlighting the USP that suggests why user should buy your product or try your services. Fixing the unclear USP: Anyone who tries to put step across all fortes at once would possibly reach nowhere. The same applies when you are highlighting your brand’s USP. You will have to make sure that you highlight only your primary quality rather than listing too many of them. A relevant solution is hence, focusing upon specificity. There is no denial in the fact that mobile users have dominated the desktop websites. This surely has evoked the need to optimize the website as for mobile conversions. As a website, you need to be sure that you manage to customize and optimize the data in accordance to mobile phones and tablets. Lack of mobile experience is a dominant area responsible for lower conversions. Despite the growth that mobile browsing has garnered over years, most of the websites fail to optimize their mobile experience. A user who is navigating a website through phone or tablet might feel frustrated if the website is not responsive. Links concentrated over small areas, too small font size, inconvenient scrolling, together make things very difficult. We understand that going responsive is not easy yet it has to be done as optimizing for mobile is the need of hour. Fixing the Mobile Optimization Issues: There is a big difference between mobile optimization and desktop optimization. You can choose amidst the available mobile responsive themes to deal with the conversion that take place while switching within platforms but there is the need for optimization as well. Elements that you can consider in this case include GPS data to make local marketing more effective, minimizing the image sliders and using mobile compatible forms.